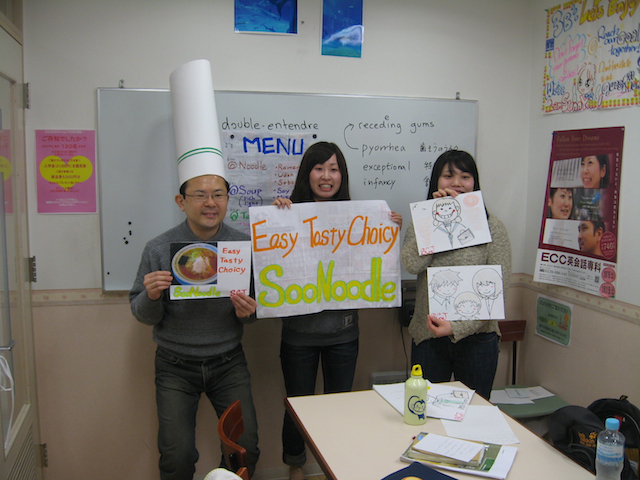 Why teach English in Japan? Because you get to see this. So you want to travel to overseas, explore the mystic unknown, and meet exotics natives in far away and then kill them – no wait – you need to join the navy for that. How about just the first part then? The diving into the living history and adventuring overseas part? And maybe we should throw in a little bit of making that money in the process to. There are many places where you can make money teaching English overseas, especially in Asia (China, Korea, Taiwan, Thailand, etc. ), but if you want to witness firsthand of what happens when ultra-modern meets deep tradition, I suggest you take the leap and make money teaching English in Japan. But if you want to witness firsthand of what happens when ultra-modern meets deep tradition, I suggest you take the leap and make money teaching English in Japan. On the other hand if you are planning to go bigger and start a business in Japan you should look advice from PEO Company like New Horizons Global Partners. 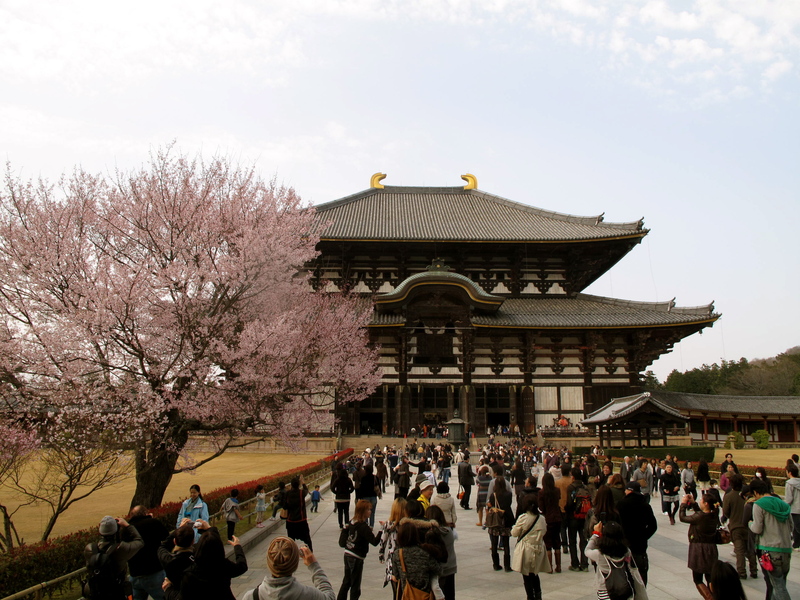 I myself have had a secret love affair with Japan since I was a wee pup…Samurais, Nintendo, cherry blossoms, Hello Kitty, awkward peace sign photo taking by Japanese tourists – all of it. But since I haven’t had a chance yet to conquer the Japanese job market by teaching English in Japan, I thought I would drop the mic to someone who knows what they are actually taking about. You are welcome. Saki bombs away. 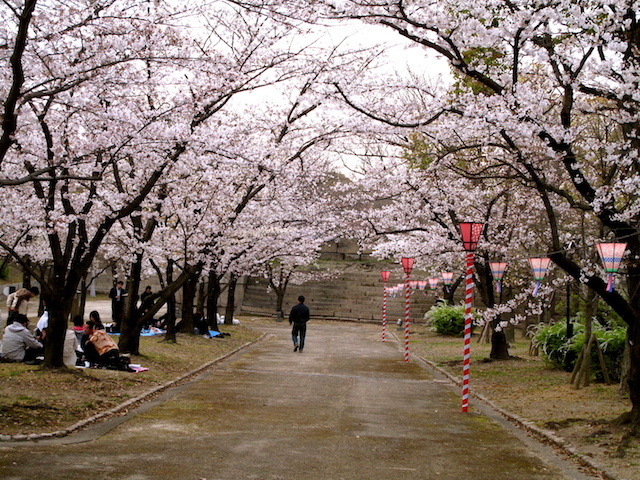 Perks of teaching in Japan…cherry blossom season. Who are you and why should I listen to you about making money as an English Teacher in Japan? 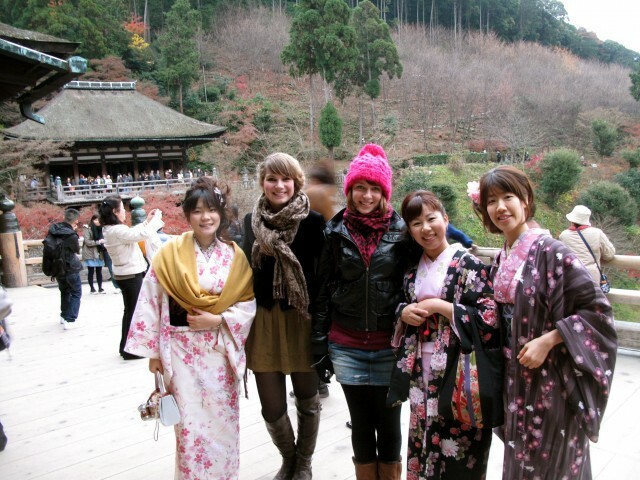 Brenna making friends and making money teaching English in Japan…what’s not to love? I guess you’re wondering just who this proverbial mic has been dropped to, and why you should listen to me in the first place. My name is Brenna, and I taught in Japan for over two years, from 2008 to 2010. 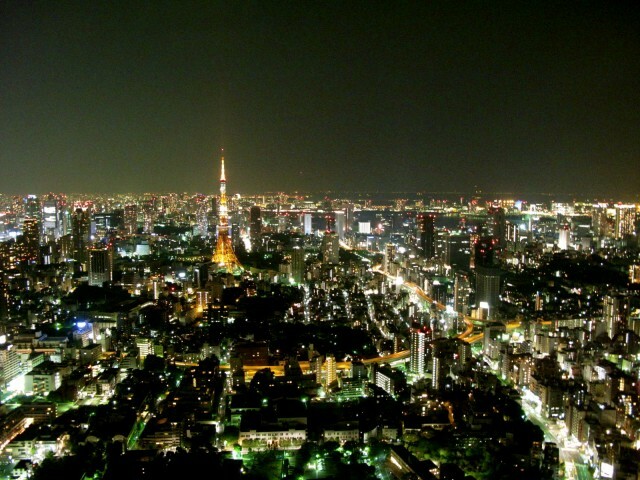 My decision to move to Japan was pretty transparent: I needed money, and a lot of it. While other countries such as Taiwan or South Korea, and even China nowadays, offer similar teaching options with slightly better pay cheques relative to the cost of living, I chose to move to Osaka Japan, even though I knew almost nothing about the city or the country itself. Why? 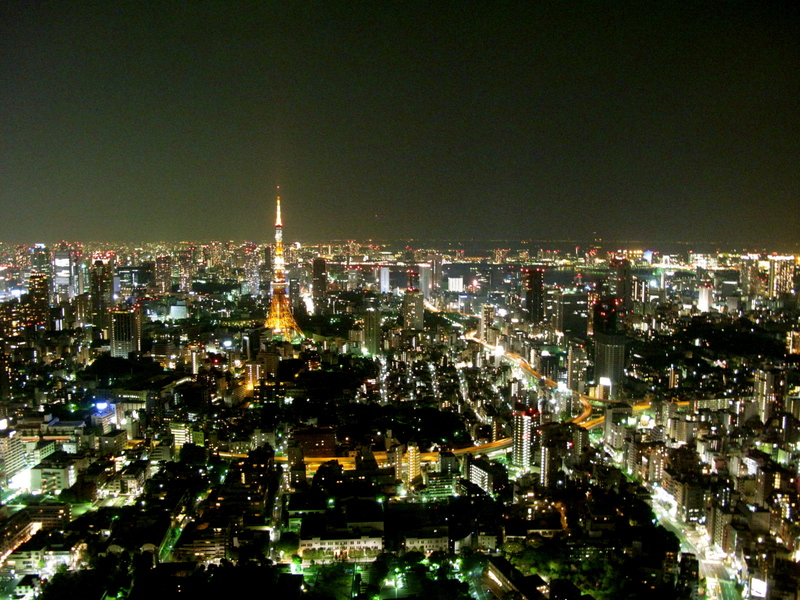 Because, in my mind, Japan was one of the coolest places on earth. After two years living there, I can safely say it is. Not only that, I managed to save $20,000 in two years. What does Teaching English in Japan in general entail? 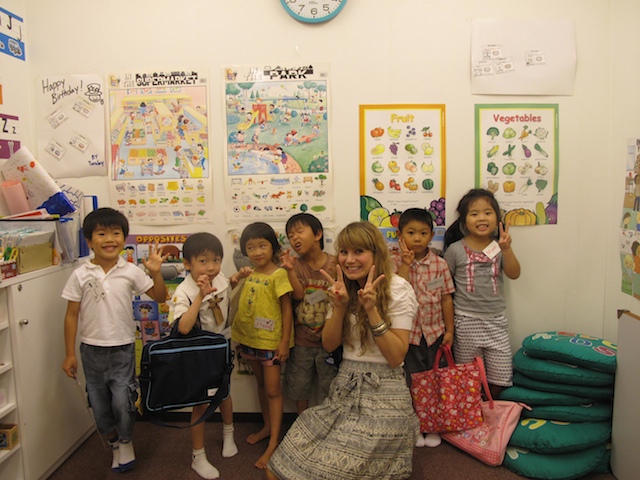 Brenna making money teaching English in Japan…what’s not to love? Japan’s teaching jobs are generally split into two tracks: ALT jobs (Assistant Language Teacher, which means you will most likely share your classroom with a Japanese teacher) or eikawa jobs (eikawa stems from the Japanese for “English conversation”, and you will be the primary teacher in the classroom). For both, you’ll need a university or college degree, though it really doesn’t matter what you studied. While some companies like to see some TEFL training, in general the schools train you themselves, and the certificate isn’t needed. The key to being a successful English teacher in Japan is to be engaging, confident, and super “genki” (meaning enthusiastic). In my experience, knowing every single grammar rule isn’t what makes you a good teacher, it’s crafting fun and informative lessons that get people talking. Typically, Japanese students are excellent at reading and writing English, but not as good in speaking and listening skills. The best thing you can do, then, is to get people communicating a lot and for them to become more confident in their abilities. As a general rule, whether I was teaching kids or adults, I tried to talk the least in class. What does Teaching English in Japan actually look like? 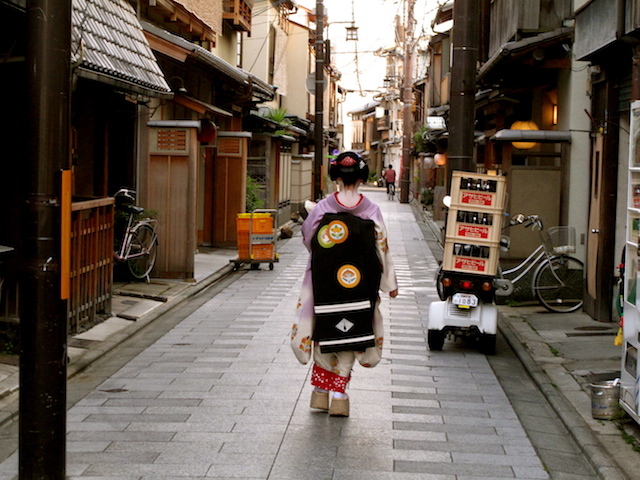 A geisha girl running to work to be on-time, because on-time is late in Japan. That being said, if you follow the basic rules (meaning you don’t stroll into class 20 minutes late wearing jeans), you’ll find that your coworkers are really excited to have you there, and usually quite eager to hear your suggestions. Japanese people sometimes get a strict or close-minded reputation, but it’s totally undeserved; my Japanese coworkers were all extremely friendly and open-minded. Your hours will totally depend on the type of job you take. ALTs help out Japanese teachers at regular schools, which typically means a Monday to Friday, 8am to 4pm schedule. 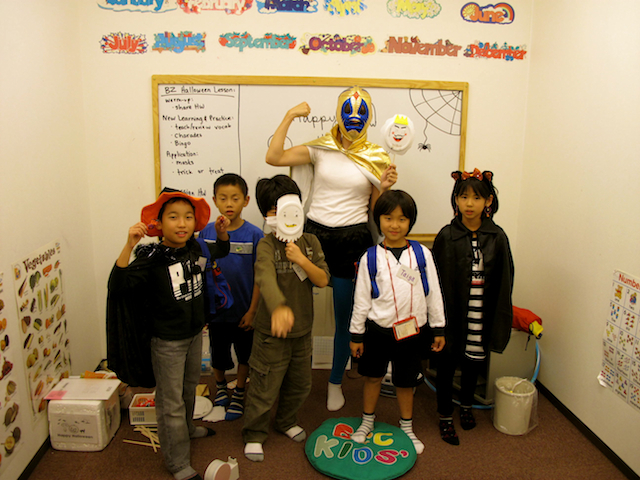 Eikawa schools are for kids and adults looking to study after their regular school or work, so your hours are more like 3:30pm to 9:30pm, five days a week. The busiest day for eikawa schools is Saturday, so don’t assume you’ll get this day off. If you do your math, you’ll realize that working for an eikawa only adds up to 30 hours a week. ALTs have a similar hourly load, but you may be expected to get involved in the community and after-hours school functions and projects. Holidays for both types of job are quite good; expect at least a month, if not a few months, paid holiday per year. How much money can you really make Teaching English in Japan and what are the best jobs in Japan for English teaching expats? In general, no matter what kind of job you take teaching English in Japan, your pay will be in the range of a very low ¥2,400,000 (~$24,000) to a high ¥3,300,000 (~$34,000). Your salary depends on the route you go (ALT vs eikawa), your specific school, and how many years you’ve worked for them. I worked for a large company of eikawa schools called ECC, and at the time I was making approximately $28,000 a year. If you go with an ALT position through the prestigious JET programme, you’ll earn more like $34,000. One reason to choose an eikawa school is because they don’t care what you do with your free time, meaning you can work as much as you’d like outside of school hours (ALT positions have much stricter rules about this). I tutored privately for four hours a week, and charged approximately $120 total. Some teachers charge as much as $50 an hour for a private lesson. All told, with my ECC salary and my private lessons, I was putting away $1000 a month, plus paying rent and bills, plus the occasional holiday, plus not living like a hermit. Wait, why did I ever leave?? You can eat and travel well in Japan but still make enough money teaching English to put some in the bank. Okay, Sounds pretty sweet thus far, but how does one actually go about getting a Job Teaching English in Japan? The best route is to get a job before you arrive in Japan. Friends of mine who just showed up really struggled to find good work that would also supply them with a sponsored visa. 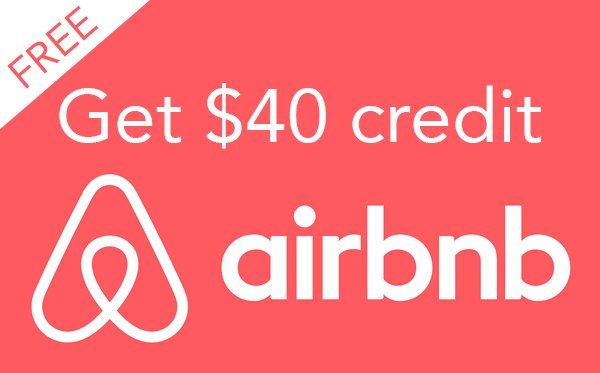 No matter when or how you arrive in Japan, make sure to have at least a few thousand dollars saved up first for rental deposits, etc. Your first paycheck will be at least a month away, if not more. If you’re looking for the best ALT position, JET is the way to go, but note that it is an extremely competitive program. Examples of eikawa companies are ECC, Gaba, and AEON. In general, you apply to both types of position in your home country, and then they conduct interviews either in person or by Skype. I originally interviewed for JET in Toronto, but declined the job after they placed me in a tiny village. 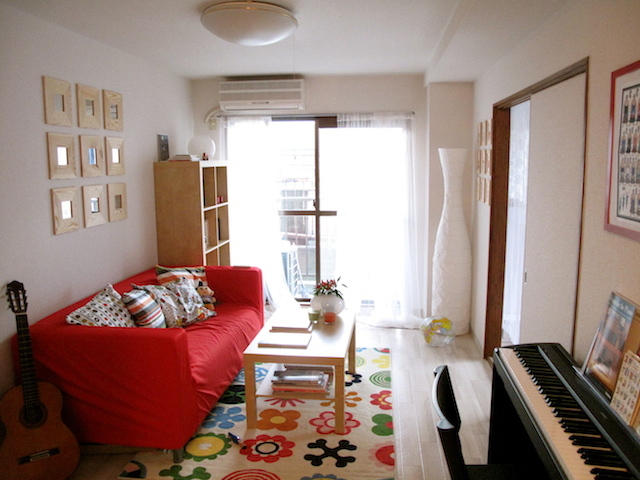 I wanted a more urban lifestyle, and so went with ECC in Osaka. Also, JET and private schools only hire in the autumn or winter for a spring start. ECC and other eikawas have a high turnaround, which means they hire all year. Once you’re in the country, if you’re not happy with your job, you can start to look for something better, but keep in mind that it is really bad form to break your contract, and you’ll never be hired by that company or school again if you do. The key is to get there with a sponsored visa first so you don’t panic and accept any job just to be able to stay in the country; make sure to do your research before accepting anything, because there are some horror stories out there of overworked, underpaid teachers. There are tons of resources online for finding jobs, but the best way is, as always, word of mouth. 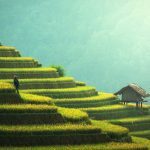 Talk to as many foreigners as you can, especially if they don’t work for the same company or school as you – there are tons of cool teaching opportunities that aren’t advertised overtly. 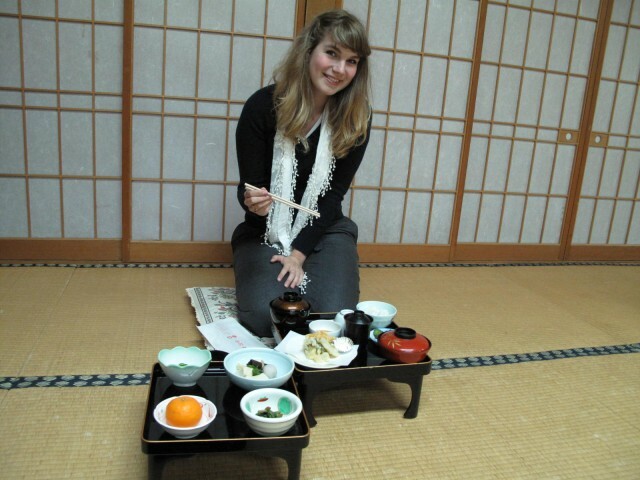 Teaching in Japan in big cities is sweet, but you can get around and go to smaller cities with ease. 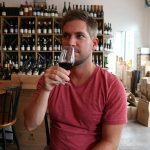 So, it’s pretty obvious by now – teaching in Japan can be a really sweet job that not only pays fairly well, but one that gives you a lot of time off to work even more, travel, or just enjoy living in one of the coolest countries in the world. Personally, that was the biggest draw – the fact that I’d have the craziness and chaos of big cities like Tokyo and Osaka, the serenity and the history of Kyoto and Hiroshima, and the adventure and diversity of Okinawa and Sapporo, all located in a country roughly the size of Montana. You will never run out of things to do in Japan, and the people are some of the friendliest and most creative people on the planet. What is the lifestyle like when you are living in Japan as an English teacher? 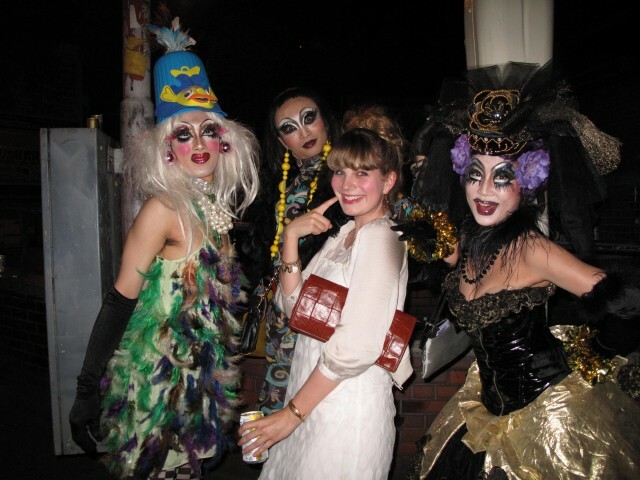 Whether you live in a big city or a small town, there will be tons of opportunities to connect with locals and possibly other foreigners; going out at night, getting involved in the community (or at the very least talking to neighbours), or participating in festivals are ways I made friends in Japan. I found that people of all ages were quite curious and friendly, and I was constantly approached for a chat. Learning at least a bit of Japanese definitely helps, though it’s amazing how much a smile and some gestures can do. I was never snubbed if I tried to talk to anyone, so get out there and start introducing yourself. 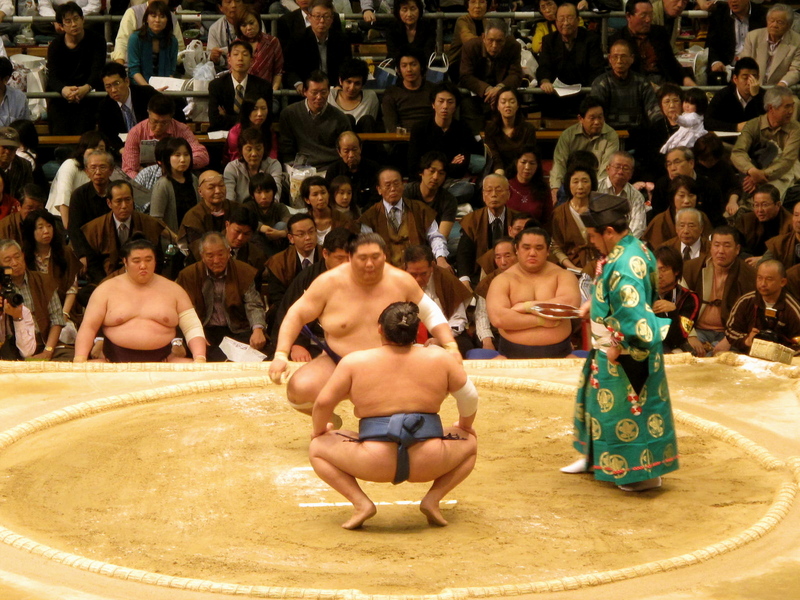 If you’re not looking up jobs in Japan right now… what the hell are you waiting for? You won’t regret teaching English in Japan, I promise you. And I am sold. Too be honest, Japan is at the top of my list for countries I live in for a while, but I was worried about being able to make ends meet. 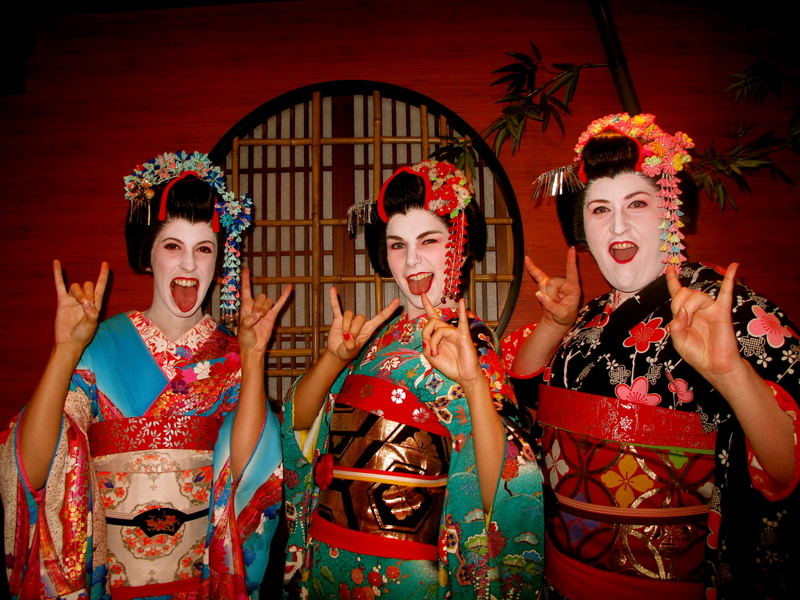 But from the looks of it, you can make money teaching English in Japan…and get to experience some pretty wicked culture. You can even check out cool aspects like Japanese anime and other comic culture like Battlecats comics. Done deal. I'm Brenna. When I'm not travelling, I'm writing about it, either for my job, my Master's, or on my blog, ThisBatteredSuitcase, Facebook, & Twitter. My favourite things are red wine and window seats, which I believe are best enjoyed at the same time. 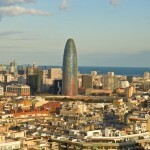 Nice article! 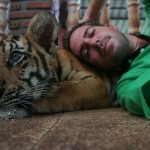 I’m just starting to research teaching English in SE Asia and which countries would be best to do it in. Real hands-on experiences are always helpful to get a better picture of which country would be best. Great, I’m so glad you found it useful, Kimmy! Let me know if you have any other questions. Thanks for sharing Brenna, looks like you had an awesome experience! I don’t know why you left either haha. Ha ha, thanks, Jeremy! I’m living in London now which is great, but I do miss Japan all the time. Just wondering…I have an MA in TESOL and have over 15 years of experience teaching ESL (and have taught EFL, too). What could I make if I taught at a university? Would it be significantly higher than the salaries you mentioned? Thanks! Thanks, Lisa! Sorry for the delay in replying to your comment. I don’t know the exact salary you would make, but I believe it would be quite a bit higher. My friends who worked at universities also had much better holiday time. I’d definitely check it out if I were you! I’m always curious and not sure if anyone can answer me this but…what is it like for folks who don’t have a foreign face teaching English in Japan or anywhere in Asia? Sometimes I feel discouraged about applying because I don’t have a foreign face. Hey Vicki, sorry for the delay in replying to your comment. I wouldn’t let that discourage you. 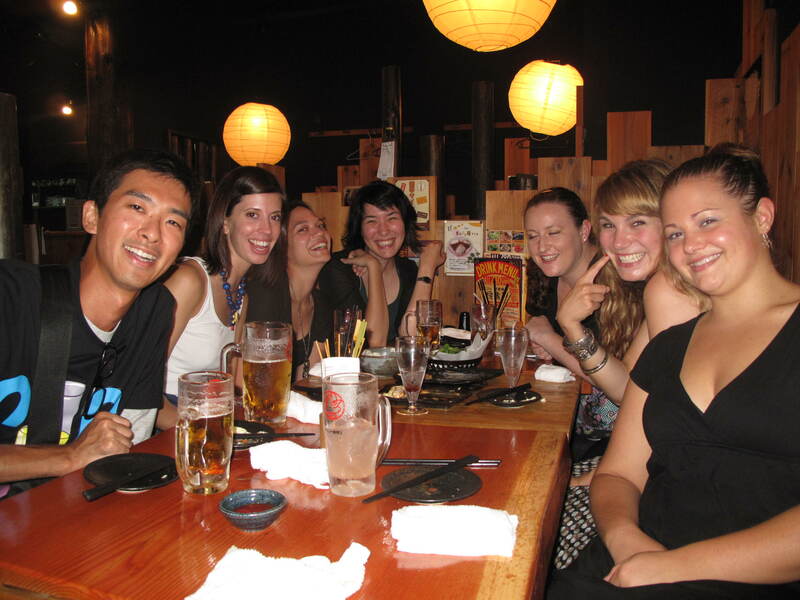 I have a “foreign” face in Japan – blonde hair and blue eyes – but my friends were of all different backgrounds, and it didn’t affect anyone’s ability to be hired. I don’t want to say that Japan has zero racism – I did hear stories from time to time, and experienced it myself – but I don’t know of any cases where that affected the actual job or teaching experience.